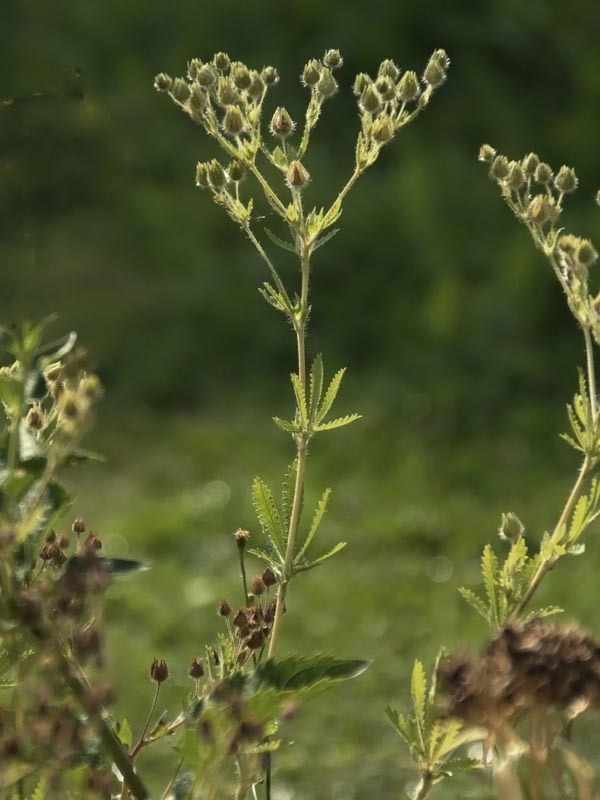 An “A” designated weed is a priority noxious weed designated by the Union County Commissioners as a target weed species on which the Weed Control District will comply with a state-wide management plan and/or implement a county wide plan for intensive control and monitoring. 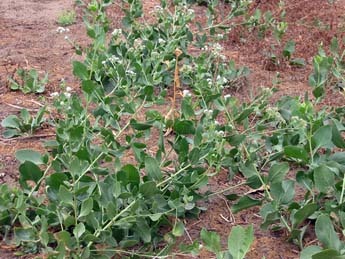 An “A” rated weed may also be a weed of known economic importance which occurs in small enough infestations to make containment/eradication possible; or one that is not known to occur here, but its presence in neighboring counties makes future occurrence seem imminent. Perennial; flowers May to October. 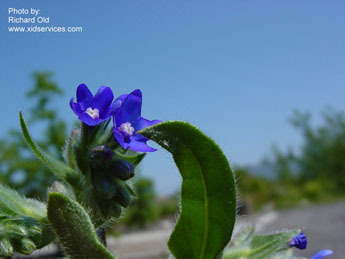 Flowers are blue to purple with white throats, petals are five equal lobes. Flowers are coiled at the end of stems, as flowers open stems uncoil. Each flower has a four-chambered nutlet fruit, each nutlet contains one seed. Stems and leaves are fleshy and hairy; basal leaves are narrow, oblong; mid-leaves are continuously smaller up the stem. Grows 1 to 2 feet in height. 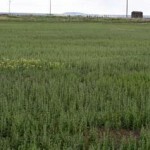 Invades hay and alfalfa fields, forests, rangelands, and waste areas. Fleshy stems can cause hay bales to mold. It is also a good competitor, and can invade areas of native vegetation. The herb originated in Europe, and has numerous medicinal and dye purposes. It is established in Union, Wallowa, Baker, and Umatilla Counties. In addition to mechanical removal, herbicides such as chlorsulfuron and metsulfuron when applied at the rosette and prior to bolting stage can provide an effective control. Perennial; flowers May to July depending on elevation. 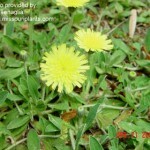 Flowers are clustered, yellow, approximately ½ inch wide, and can number up to 30 per plant. Plants grow from 1 to 3 feet in height. Stems are bristly and mostly leafless, and leaves and stems exude milky juice when broken. Meadow hawkweed, king-devil hawkweed, and yellow hawkweed are all extremely similar and difficult to classify. 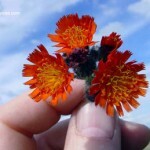 Meadow hawkweed occurs in moist grasslands, meadows, rangelands, and forest borders. Found in both Union and Wallowa Counties. Perennial; flowers June to July in lower elevations. 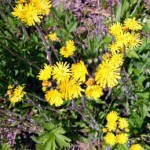 Flowers are clustered, yellow, approximately ½ inch wide, and can number up to 30 per plant. Plants grow from 1 to 3 feet in height. Leaves are hairy, spatula-shaped, and almost always basal. Abundant stolons can form dense mats of vegetation. 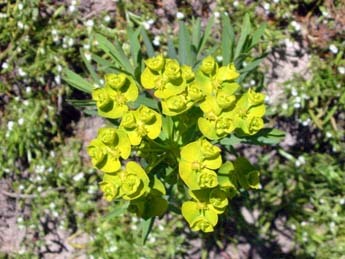 Currently, this plant is not known to occur in Oregon. Perennial; flowers June to October. 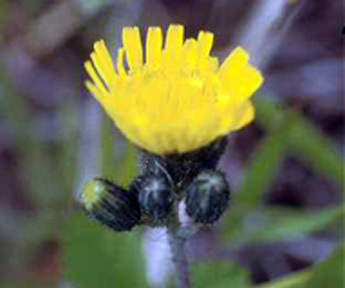 Yellow, dandelion-like flowers are produced on a long, leafless stalk and are covered with stiff dark hairs. 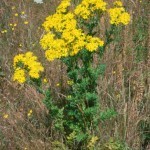 They occur in clusters of at least two atop yellow stalks. Leaves have distinctive white mid-veins and are covered with hairs. 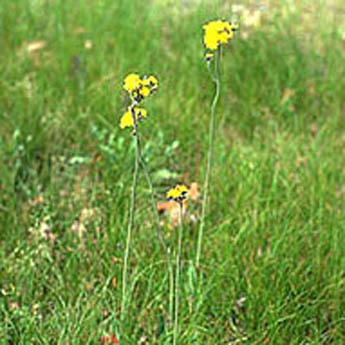 Mouse-ear hawkweed is very tolerant of low soil fertility and over-grazing, grows in grassy areas and is not shade tolerant. It is not currently known to occur in Oregon. Perennial; flowers May to July. Vibrant, orange flowers are clustered at the top of a leafless stem. Grows up to 1 foot in height, and the plant contains milky juices. 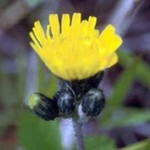 Stiff, black hairs cover the flower stalks. The leaves are hairy, lance-shaped, up to 5 inches long, and are almost always basal. 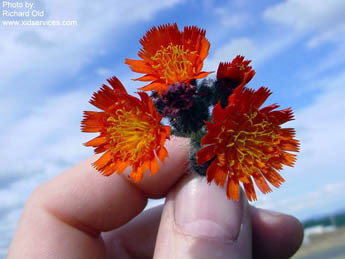 Orange hawkweed is limited to a few known sites in Oregon (Clackamas and Deschutes Counties). 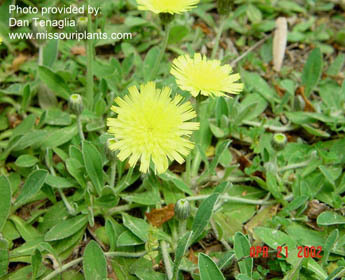 Hawkweeds form dense mats of rosettes, making it difficult for other plants to establish or survive. They will out-compete other species for water and nutrients and release allelopathic compounds from their decaying leaves. They grow the best in moist, sunny, and grassy areas, but can tolerate some shade. They are already problems in native rangelands, pastures, and lawns, and are poised to invade wilderness areas. 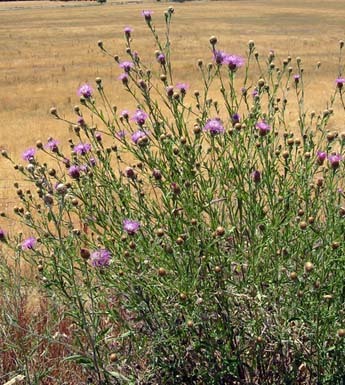 Biological control agents are not used on “A” listed weeds in the state of Oregon. Recommended treatment includes the following herbicides: Aminopyralid (rosette to bolting stage), Picloram (after basal leaves form), and Clopyralid (before bud stage). Perennial; flowers around May. 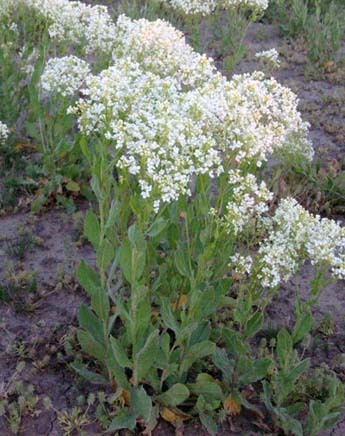 Numerous four-petaled white flowers give plant a flat, white-topped appearance. Lower leaves are blue to green in hue and lance shaped, upper leaves are clasp the stem with two lobes. As seeds mature in the summer, plants usually die back to the roots. Grows up to 2 feet in height. 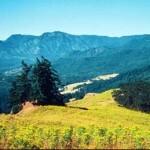 There are tens of thousands of acres of white top infestation in Oregon. It prefers alkaline soils and forms dense colonies that can inhibit the growth of other desirable forage species. It isn’t toxic to livestock, but animals will not graze it. It has a limited distribution in Union County, occurring primarily in small livestock and horse pastures, but is abundant in neighboring Baker and Morrow counties. Chemical treatments can be effective, but prevention and containment are extremely important areas of focus for controlling the spread of white top. Recommended chemical treatments include: Chlorsulfuron+2,4-D (bud to bloom stage), Metsulfuron (bud to bloom stage), Chlorsulfuron (bud to bloom stage), Metsulfuron (rosette in fall), and Imazpic (rosette in fall). Surfactant is recommended for successful results. Perennial; flowers July to October. Sparse inflorescence of cream white flowers which do not grow with maturity. Leaves are heart-shaped, cordate, and often are over one foot long. Grows to over 12 feet in height and has spreading rhizomes. 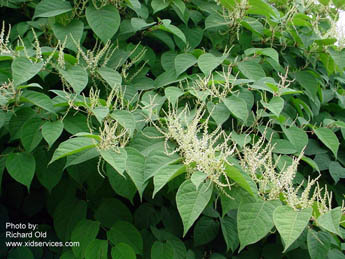 Very similar and often mistaken for Japanese knotweed. 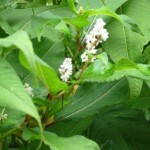 Giant knotweed is so large that is often shuts out more desired species. It is a great threat in riparian zones as it shuts out tree regeneration. Research has shown that its roots emit allelopathic compounds which help it to rapidly colonize large areas. 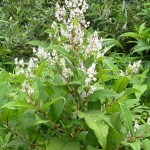 It can pollinate Japanese knotweed, and hybrids are common. 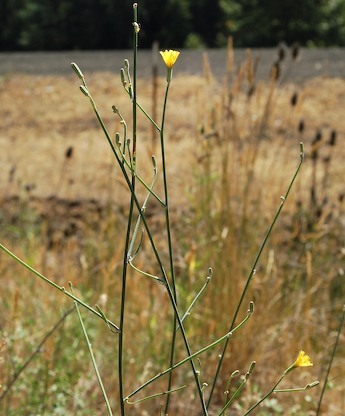 Its presence has not yet been documented in Union County, but it is abundant in Western Oregon counties. No biological controls are currently available. 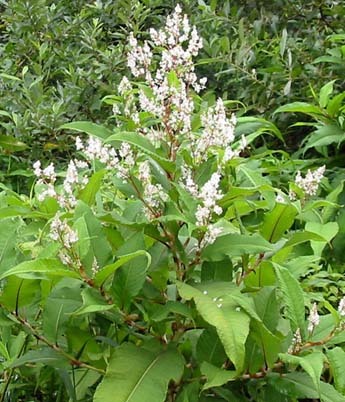 Herbicide treatments such as Triclopyr, Imazapyr, or Glyphosate can be successful when applied to actively growing knotweed species. Perennial; flowers July to October. Greenish-white to cream colored flower clusters adorn the tips of stems. Stems are reddish brown in color and have slightly swollen nodes. Long, creeping rhizomes. Leaves are truncate, broadly ovate, and short stalked. Perennial; flowers July to October. 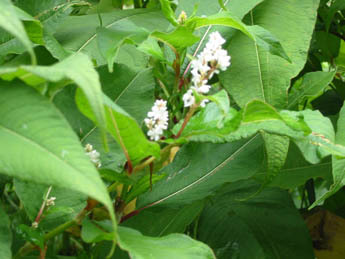 Very similar appearance to giant and Japanese knotweeds, with the exception that Himalayan knotweed grows to only about 6 feet in height. 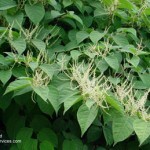 Leaves are 4 to 8 inches in length and are lanceolate shaped. 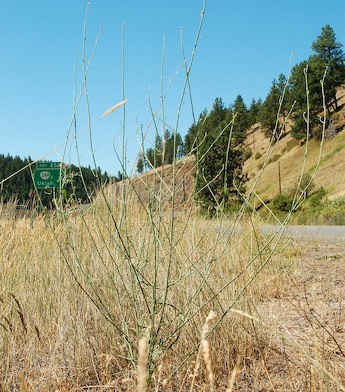 This is the least common of the weedy knotweeds in Oregon. Himalayan knotweeds are much smaller that their relatives and aren’t as tolerant of shade. It is a great threat to riparian areas, where it out competes native vegetation and can increase seed dispersal and colonization by means of flooding episodes. Perennial; flowers May to July. 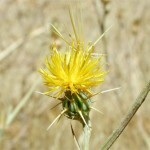 Flowers are small, greenish-yellow in color and are surrounded by distinctive, yellow, heart-shaped bracts. Leaves are small, alternate, and slightly wavy on the margins. This upright, branching plant can grow 2 to 3 feet in height. 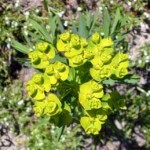 The largest impact of leafy spurge is that it reduces cattle carrying capacity on rangelands by 50% to 75%. 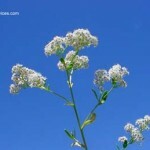 It is a very versatile plant and can grow in a multitude of conditions. Control is difficult and treatments must be applied seasonally for continued control. It has been documented that initial grazing by sheep before cattle on rangelands has increased productivity in infested areas. A milky latex within the plant can cause serious skin irritation in humans, horses, cattle, and if rubbed in the eyes can cause permanent blindness. 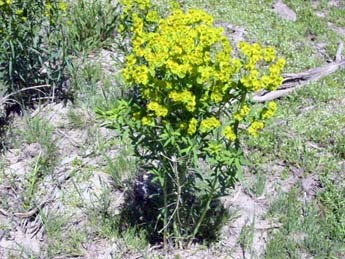 Leafy spurge has a limited distribution in Union County. Of the 12 approved biocontrol agents, 6 have been established in Oregon. Long term control strategies, including repeated herbicide treatments, are vital to controlling this weed on agricultural lands. 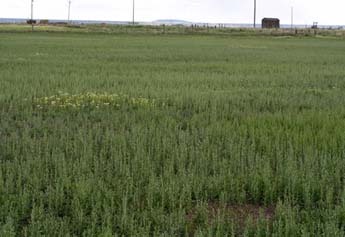 Prevention and containment are initially the most important steps to successfully control dense stands of leafy spurge. Some of the most successful herbicides include: Imazapic (after summer dry period), Picloram+2,4-D (bloom stage), Glyphosate (spring to early summer), or Picloram (bloom stage). Perennial; flowers midsummer to fall. 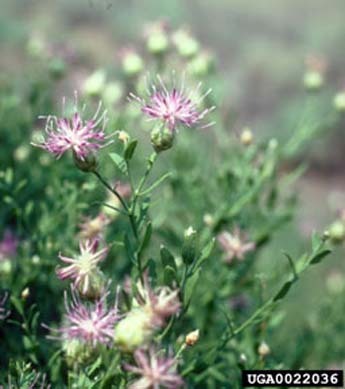 This hybrid of brown and black knapweeds has flower heads that are pink to reddish purple in color and are globe-shaped. A key identification point is the fringed bracts on the flower heads. 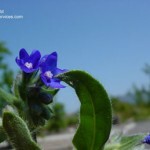 It has many-branched stems that are tipped by a solitary flower up to 1 inch in width. Lower leaves are long and stalked, upper leaves have no stalk. Grows up to 3 ½ feet tall. 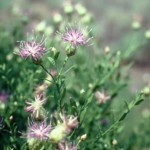 Meadow knapweed is a good competitor and often is able to crowd out more desirable forage species in pastures and rangelands. 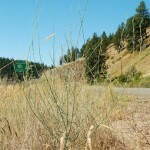 It can grow just about anywhere, such as roadsides, stream banks, moist meadows, irrigated pastures, and forest openings. It has a limited distribution in Union County. It can be susceptible to herbicide treatments including: Triclolyr+Clopyralid (rosette to bolting), Picloram (spring), Clopyralid (before bud stage), or Aminopyralid (before bud stage). 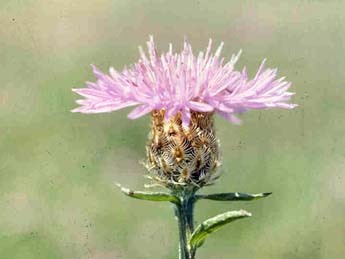 Some biocontrols from other knapweed species are effective on meadow knapweed, such as a seed head fly, moth, and two weevils. Winter annual grass growing up to 24 inches tall. 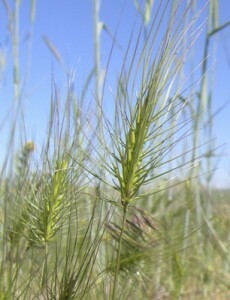 Leaf blades are somewhat rolled and flowers are similar to wheat. Inflorescence contains 2 to 3 spikelets per node and the longer of the two spikelets contains upward pointing barbs that are nearly as wide as they are long. Awns tend to twist as plant matures. Seed head breaks apart when mature, which is a distinguishing feature from squirreltail and foxtail barley. Medusahead rye is most abundant in eastern Oregon and parts of western Oregon. 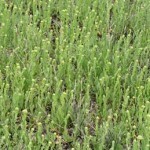 Grows in semi-arid rangelands and heavily grazed pastures. Grazing capacity can be reduced 40-75% in infested areas. 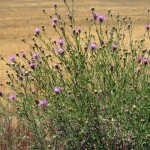 In Union County it is commonly found in pastures and open rangelands and can be seen in large monocultures. Perennial; flowers May to September. 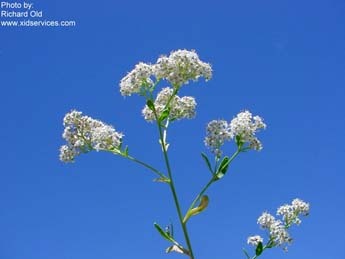 Flowers are white in color, very small, form dense bunches near the ends of branches, and produce a distinctive odor. Seeds are small, flat, hairy, and reddish brown. Basal leaves are larger than upper leaves, bright to grayish green in color, and are either entire or toothed. Grows from 1 to 6 feet in height. 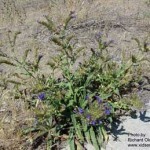 Perennial pepperweed invades and colonizes meadows and fields rapidly. It lowers digestibility and protein content of hay crops and inhibits grazing. It greatly reduces crop land values when infestations become more serious. 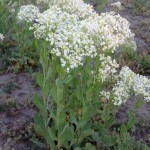 It can also grow in disturbed areas or bare soil and can survive a wide range of environmental conditions. It has a limited distribution in Union County. No biocontrols are currently available. Herbicide treatments can be effective in control, but areas of dense thatch can inhibit new, more desirable plant establishment and should be burned. Herbicide treatments can include: Chlorsulfuron (flower to bud stage), Metsulfuron (growing plants), or Glyphosate (flower stage). Perennial; flowers July to September. 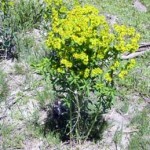 Flowers are yellow, each with 7 to 15 petals, and are about ¾ inch wide. The plant has almost no leaves, with many branching stems, and coarse, downbent hairs on the lower 4 to 6 inches of the stem. 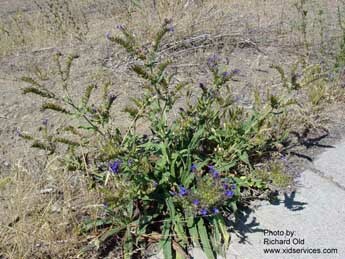 Rush skeltonweed spreads primarily by seed, but roots scattered by cultivation can sprout and spread. 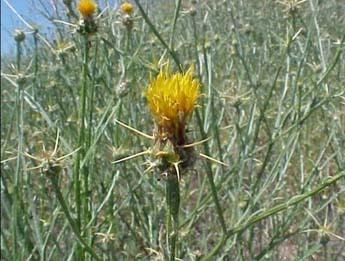 Rush skeletonweed is an invader in both rangelands and cropland, primarily potato and cereal grain crops. The plant exudes a latex sap, which can jam up combine harvesters. 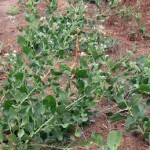 The plant’s presence in fields can also reduce desired crop and forage production. It has limited distribution in Union County. Three biocontrol agents have been effective in seed control, a gall midge, a gall mite, and a rust fungus. Herbicides are a good initial control for rush skeletonweed infestations (Aminopyralid, Clopyralid, or Picloram), but long term control may require a combination of physical and mechanical tactics. Perennial; flowers summer to fall. 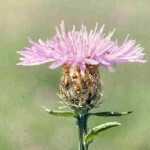 Flower heads are cone shaped, ¼ to ½ inch in width, pink to lavender in color, and grow one flower per each branchlet tip. Erect, branched stems form dense colonies. 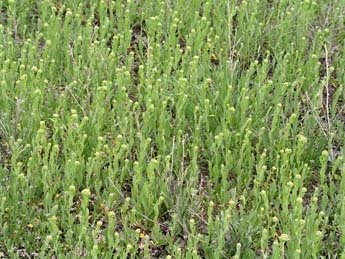 Lower leaves are lobed and 2 to 4 inches in length. Upper leaves are entire or serrate. Grows up to 4 feet in height. This plant can overrun fields and rangelands with ease. It can spread entirely by its creeping rootstalks or by seed. It currently has limited distribution in Union, Baker, and Wallowa counties, but is abundant in neighboring Morrow County. With several years of persistence, grazing and herbicide control methods can be effective. There is one approved biocontrol agent in Oregon, a gall nematode. Perennial; flowers April to June. Many small, yellow, pea-shaped flowers adorn slender, dark green angled branches with simple, small leaves. Grows from 3 to 10 feet in height. Evergreen shrub. 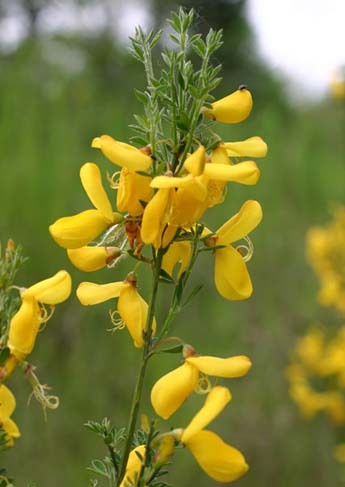 Scotch broom is a very persistent pioneer species that invades forests, rangelands, roadsides, public and private areas, and displaces native vegetation. Maintenance of parks, rights-of-way, public facilities, private land, and timber production areas costs millions of dollars each year. 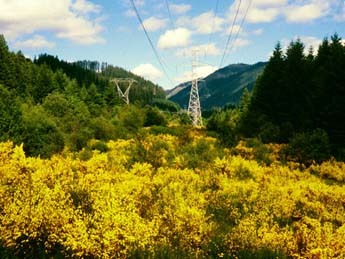 It is estimated that scotch broom costs Oregon $47 million per year in loss of timber production. 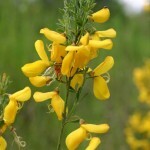 Scotch broom has a limited presence in Union County. A beetle, a seed weevil, and a twig miner have all been approved for release in Oregon. Mechanical & chemical treatments can also be effective. Perennial with coarse-hairy basal leaves (palmate) with 5 to 7 toothed leaflets. Stem leaves are similar to basal leaves but are shorter-stalked. 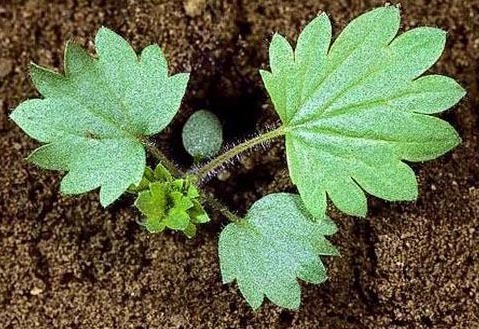 Leaves are dark green on both sides, unlike the native cinquefoil which has silver hairs on the underside. 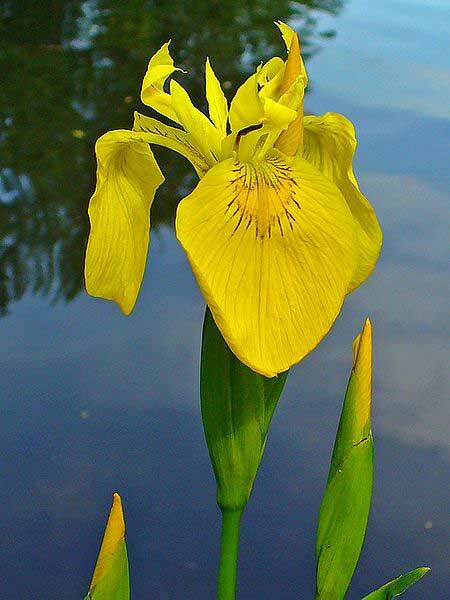 Flowers have 5 light sulfur-yellow petals surrounding a dark yellow center. Fruits are single-seeded achenes that are strongly net-veined. Perfers full sunlight and has adapted to a wide range of soil conditions. It can commonly be found in grasslands, shrubby/forested areas, logged areas, roadsides, and waste areas. On rangelands and pastures this species is a major problem in Union, Wallowa, Baker, and Morrow Counties. Digging and tilling can effectively control small infestations. Mowed or grazed plants can still flower and produce seeds. Chemical treatment can include: Picloram (fall) and Aminopyralid (fall). No known biological control exists for this species. Biennial or short-lived perennial; flowers midsummer to fall. 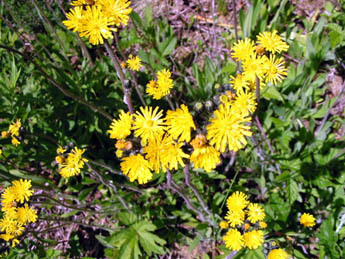 Multiple yellow, multi-rayed flowers contain numerous seed heads, as the plant reproduces by seed only. Deeply lobed leaves are dark green in color. Grows 1 ½ to 6 feet in height. 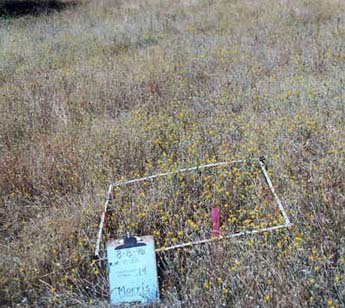 Once considered one of Oregon’s most economically devastating weeds, biocontrols have helped control tansy ragwort to some extent. It invades pastures, roadsides, and logged areas with ease. 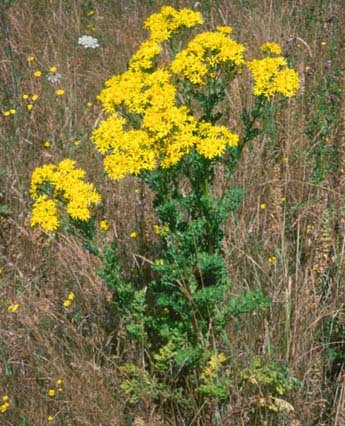 The seeds of tansy ragwort can lay dormant and remain viable in the soil for up to 15 years! It is also toxic to cattle and horses and can cause irreversible liver damage. 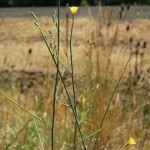 A seed head fly, a flea beetle, and a moth have been established in Western Oregon. Eastern Oregon stands are still sparse and are being treated for prevention and eradication rather than biological control. Chemical herbicide treatments can be effective, but seed viability proves to be an ongoing threat of re-infestation. Annual; flowers July to August. 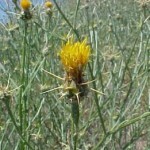 Single yellow flowers at the ends of branches are armed with thorns up to ¾ inch long. Seeds both with and without parachute hairs produce rapidly spreading dense stands. 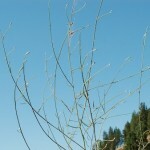 Rigid, branching stems are covered with cottony hairs. 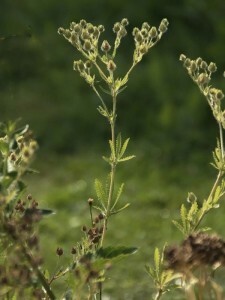 Lower leaves are lobed and upper leaves are entire and pointed. Grows from 2 to 3 feet in height. 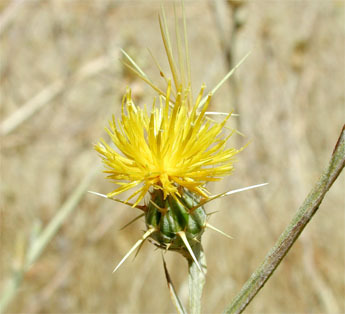 Yellow starthistle can invade many areas, especially poorly covered areas that are susceptible to invasion. It will grow wherever cheatgrass grows. It will invade croplands, rangelands, roadsides, and disturbed areas and has a limited distribution in Union County. Surrounding counties have a greater, more abundant presence. There are 5 approved biocontrol agents in Oregon. 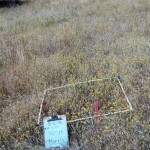 It is important to promote revegetation of disturbed sites as well as employ proper grazing techniques to prevent the establishment of yellow starthistle. On established stands, herbicide treatments can be effective, as well as combination efforts such as prescribed burn and herbicide application. Recommended herbicides include: Aminopyralid (rosette stage), Clopyralid (rosette stage), Picloram (rosette to bolting stage), or Chlorosulfuron (rosette stage). Perennial with erect, flattened, sward-like leaves that are clasping at the stem. Flowers are deep yellow with 2 or 3 to a stalk. Sepals are drooping with brownish molting markings surrounding the true flower. Typically flowers in the summer months. Fruits consists of large egg shaped seed pods containing numerous smooth/flattened seeds. The rhizomatous roots form dense mats and can spread down stream through vegetative reproduction. Introduced from Europe as an ornamental in the early 1900’s. 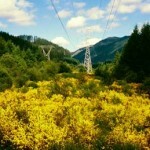 Prefers wet meadows and wetlands or areas of low oxygen. 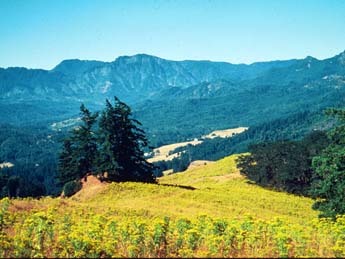 Widely distributed in the Willamette Valley, but is known to occur in Union and Baker Counties. In Union County, isolated infestations are found near Cove and parts of Summerville.